Written a review on Trustpilot that you can't find anymore? Let's help you play detective and find it - and any other reviews you've written - from your Trustpilot account. Sometimes it can be hard finding a review that you wrote. Some companies receive hundreds of reviews a week, so if you're not logged in to Trustpilot, your review may be slightly hidden. Fear not! Log in to your Trustpilot profile, and your review appears at the top of the company's profile. But if that's not what you're looking for, you can dig around to find all your reviews. On the Trustpilot homepage, point to your profile picture in the upper right-hand corner of the screen. Select My Reviews from the drop-down list. Your profile page contains all the reviews that you've written. Now that you've found your reviews, you can manage them. 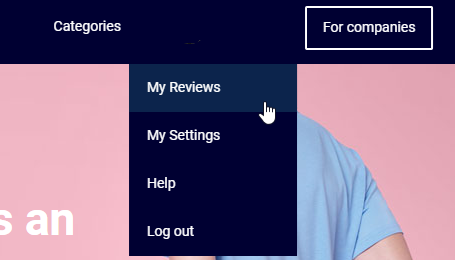 Need to change or delete a review? Edit your reviews here. If a review has been reported, you'll receive a notification and instructions on what to do to get the review reinstated. Sometimes, companies may reply to one of your reviews. Their response appears on your My Reviews page. You'll also find statistics about how many other people have seen your reviews, and how many found the reviews helpful. Pretty nice!